Cannabis has been one of the go-to solutions for many stressed individuals. And with the evolution of the herb and its cultivation, here are 5 strains that have been developed to decrease stress and anxiety levels. Stress is one thing that all fully-functioning adults are highly familiar with. The root cause may derive from different parts of our daily lives, including jobs and familial obligations that were not the focus of our energy as children. Many people try to combat stress in different ways. Some unwind after a long day of work at their favourite happy hour joint; others work out or meditate to alleviate themselves from all the headaches. A good number of people also turn to cannabis as a stress-relieving option. This is not just a practice that cannabis-loving folks do as an excuse to get high. Studies have shown that low doses of THC can actually raise serotonin levels. Serotonin is the chemical in the brain that stimulates feelings of well-being and happiness; keeping these levels at bay can help prevent stress from turning into depression. With the evolution of cannabis over the years, there are now strains that can be used specifically to combat stress. Here are our top 5; the best of the best anti-stress strains. However, there are numerous other varieties out there that will do the trick as well. As you may notice from our list, the best options tend to be more indica-dominant. While we just mentioned that most stress-relieving cannabis strains are of the indica variety, Sour Diesel is one amazing exception. This sativa-dominant strain is known to have fast-acting effects that not only energise, but also induce a “dreamy,” cerebral feeling. “Sour D” rose to prominence in the early 90’s and remains popular among medical cannabis users to combat stress, pain, anxiety, lack of appetite, and even insomnia. So if you are worried about being glued to the couch after a toke, Sour Diesel will actually spur the opposite effects, making you alert and lively throughout the day. For the most part, Sour Diesel leaves its users feeling happier, uplifted, and energetic. Simultaneously, tokers will feel much more relaxed and mellow, making a stressful day suddenly a lot easier to deal with. The name OG Kush will always ring a bell among cannabis aficionados. Made popular by American West Coast culture in the 90’s, this hybrid strain is almost synonymous with stress-relief, as it automatically gives off that feeling of instant euphoria. OG Kush either comes in the form of a potent sativa or a heavy indica, and is known for its distinct scent of pine and earth, with woody undertones. If you happen to be dealing with a lot of anxiety and strain from life itself, expect OG Kush to grant you that lazy, yet happy and uplifted sensation. Do expect to be homebound, though, as this strain could leave you quite sleepy. The plus side of that, however, is that you will not have any trouble catching some Z’s. Therefore, this strain is usually recommended for the night time. OG Kush is one of the go-to strains for those who suffer from ADD/ADHD, migraines, and other stress disorders, noting some improvements in their condition after use. 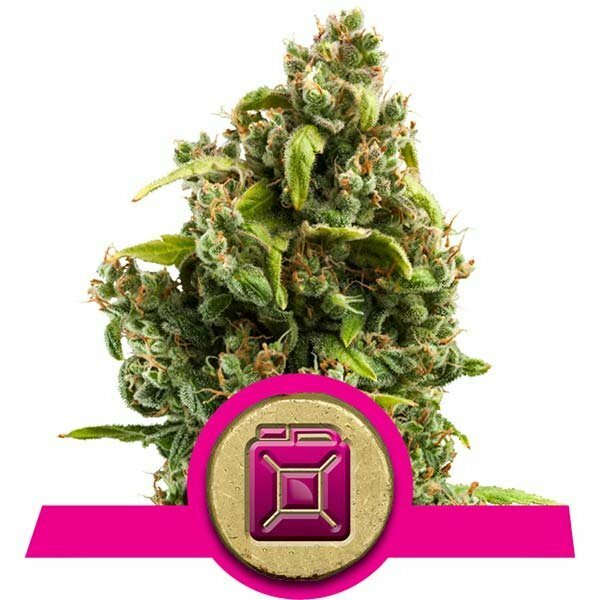 Similar to the Sour Diesel, Royal Jack is a sativa-dominant strain that has long been recognised as “medical bud.” Named after cannabis activist Jack Herer, the strain was created to give the best of both worlds regarding the cerebral elevation of sativas and the heavy resin production of indicas. 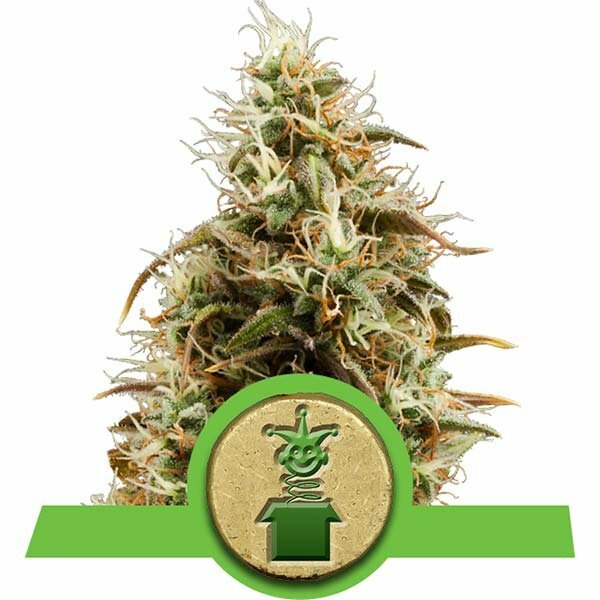 Since the mid-90’s, Royal Jack has been distributed via Dutch pharmacies for medical use, and its spicy, pine scent has garnered it a number of awards for both potency and quality. While each phenotype gives off varying effects, users claim to experience blissful feelings and clear-headedness, allowing them to be more creative. The great thing about Royal Jack is that you can use it as you work. It gives off a consistently uplifting and euphoric feeling. When taken in moderation, this strain can get you through those manic Mondays filled with hours and hours of corporate meetings. Stemming from parents OG Kush and Durban Poison, the original Cookies Forum is another hybrid that can melt stress away in a matter of moments. Known for its sweet, earthy aroma, this California-grown strain has also been a favourite among cannabis lovers from the get-go. Some phenotypes of “GSC” also bear a notable minty flavour that leaves its users in a state of full-body relaxation (while undergoing a private cerebral trip). This is another one of those essential strains that offers the best attributes from the sativa and indica worlds. Primarily, Cookies creates a happy, uplifted, and relaxed feeling. But at the same time, it can greatly benefit writers, musicians, and artists as it helps get those creative juices flowing. This is a strain that you can definitely enjoy during a hectic, mid-week day. Just like OG Kush, White Widow is also a cannabis strain that is known worldwide. This hybrid between the resin-heavy South Indian indica and Brazilian sativa landrace has been on Dutch coffeeshop menus since the 90s, boasting potent effects. Similar to the four aforementioned, White Widow will leave users with a strong sense of euphoria, as well as a boost in energy that really bodes well for a beautiful, yet loaded day. You can never go wrong with its woody, earthy, and pine aromas. While its dominant traits are that of a “cheerful” and “carefree” bud, White Widow also stimulates creativity, without falling into the territory of a paranoia-inducing sativa. No wonder this has been a favourite among many cannabis lovers who have travelled the world to try out the best strains ever cultivated. It is worth noting that while all these strains hold the reputation for encouraging euphoria, effects tend to wear off when used in excess. This is why it is still advised to use cannabis in moderation when trying to alleviate stress throughout the day.